Looking to take your marketing campaign to new heights in the Midwest? 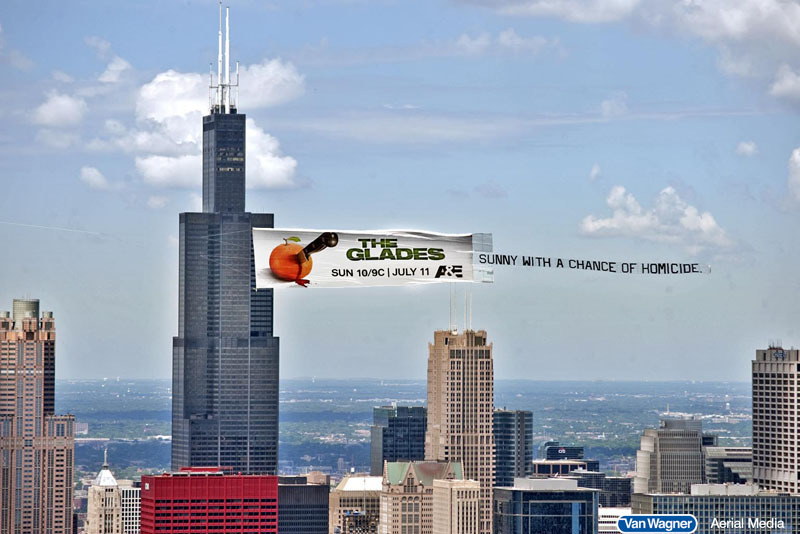 An aerial advertising campaign in Chicago is just what you need to distinguish yourself from the competition. Even the city’s nickname, “The Windy City,” is fitting for the image of a massive fluttering aerial billboard over the Chicago Harbor. Chicago is home to a wide variety of entertainment, food, sports, and (unbeknownst to some) beaches. Chicago’s Navy Pier, for example, houses several tourist-attracting sites, including a giant ferris wheel. The pier brings in a wide variety of individuals, ranging from the children excited to ride the ferris wheel, to adults anticipating the pier’s famous boat tours. Local, regional, and national advertisers choose aerial advertising in Chicago to effectively reach a large captive audience. 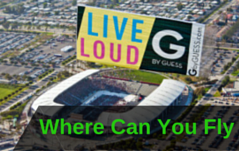 You can fly an aerial banner, blimp, or sky written message over the event or venue of your choice. Aside from well-known sites, such as The Cloud Gate and The Sears Tower, Chicago is home to one of the country’s most popular music festivals, Lollapalooza. Lollapalooza draws thousands of attendees over the span of three days and invites them to not just a musical festival, but a “cultural experience.” Having your aerial advertising campaign kickoff at an event, such as Lollapalooza, would be a sure-fire way to get your brand remembered. 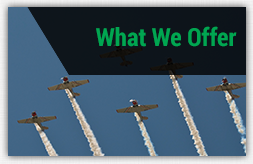 We employ the largest and most experienced team of aerial advertising pilots in the industry. All of our pilots are FAA approved and have undergone rigorous internal testing to ensure their safety and the safety of others. 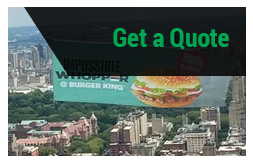 Our operators are very familiar with the Chicago landscape and are well-versed in which areas to fly your aerial advertisements to deliver maximum CPM value. As the nation’s only truly national aerial advertising company, we can deliver campaigns of scale, with planes flying in markets from coast to coast. Upon partnering with us, you will receive an account manager that will be your go-to point-person throughout the campaign. We provide guidance on best geographic areas to fly in Chicago, aerial banner creative, campaign guidance, and much more. We provide all of our partners GPS tracking data that includes when your flight flew, the duration of the flight, and a snapshot of the plane’s actual flight pattern. We have been in the fixed-wing banner towing business for over 25 years. Our corporate headquarters is located in New York, New York, and our entire operation is backed by the hundreds of employees at Van Wagner Group, LLC. We produce our banners from only the highest-quality materials, allowing us to ensure our clients that their banner will be able to withstand the elements for a minimum of 40 flights. Our in-house production crew creates the largest, most-vibrant aerial banners in the industry. Our planes have been specially modified to pull the largest aerial banners in the industry. Due to advancements in the plane’s structure and engine capacity, we are able to fly at slower speeds ensuring maximum legibility. Furthermore, our advertising banners are capable of being towed at an angle, reducing wrinkles and allowing better visibility from spectators on the ground below. 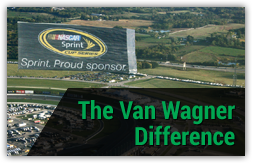 Read our Van Wagner Guarantee for more information.